Punishment is actually very normal even in 2015. If the horse won’t listen, you punish. If the horse won’t walk, you punish. If the horse walks to fast, we punish. If the horse decides to move its head a little bit, we punish. Reward wanted behavior instead. It’s 100 times better for your relationship! Don’t underestimate the value of a walk outside together, side by side. By facing scary objects together, your relationship to the horse will grow stronger. Let the horse move more freely in a longer rope and go exploring! Pressure and release is the most common method when it comes to horse training. But many things can easliy be done using positive reinforcement and some patience instead. Try it! Did you know that both dressage and jumping can be done from the ground? Groundwork benefits the horse mentally and physically and I highly recommend you all to have sessions from the ground as often as possible. I prefer to do it before riding. 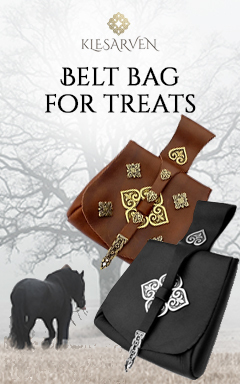 You will soon feel the difference in your horse! When was the last time you let your horse decide what to do? 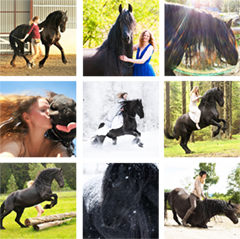 Do something you know your horse absolutely loves – and you will have way more fun together. Maybe practicing dressage excersises for the 1000th time this year can wait until tomorrow? Try to sit in the saddle and do as little as absolutely possible. Relax and feel the back moving freely. Your goal: to disturb your horse as little you can. Maybe you’ll be surprised! Many horses unfortunately lives isolated from other horses. It is not cute when the horse comes running towards you in the paddock if everything he does is waiting for you to come. Horses need contact with other horses and does not belong alone in a paddock! Get him a buddy and your horse will be grateful. Many of us spend so much time fighting with our horses. When did it become a battle?! You are a team, your horse will rarely think “I must win this”, it’s not a battle! Stop believing it is! If nothing works, a good horseman will know when to simply walk out of the arena. 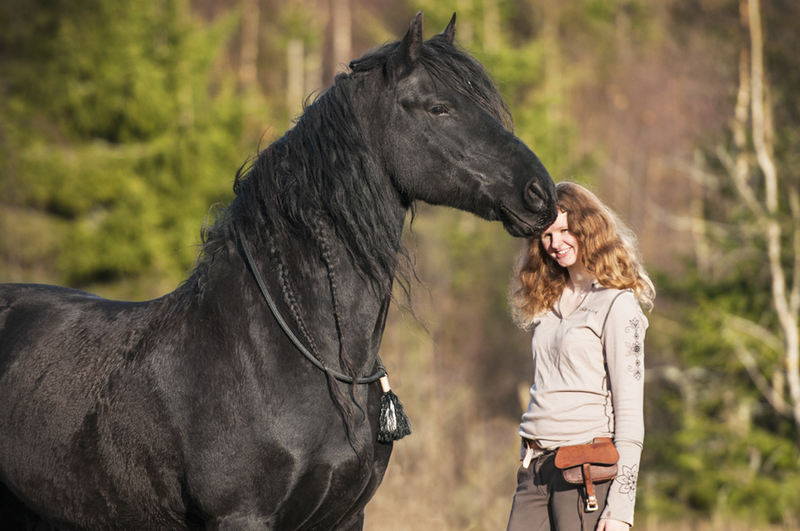 Every moment you spend together, the horse are giving you complex signals using body language. In riding, you will also feel the horse communicating with you. When the horse feels very stiff on the right lead, he is trying to tell you something. Figure out what it is, instead of just pulling the rein a little harder. It is always more. Always. But more will not help you get rid of your problems, it will just keep them hidden. Why not solve the problem instead of struggling with hiding the symptom? 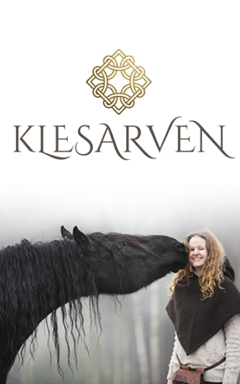 Think less, not more when you are with your horse. 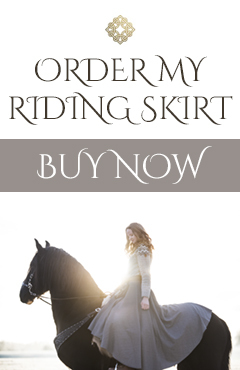 And at last … Remember that a good relationship is not synonymous with bridleless riding! A good relationship has nothing to do with tack. Let me introduce you to my odd saddle! Yesterday, this was the 167th most read blog in Norway! Number 5 is 100% similar to my way of working with horses! :D no horse will do something Everyday again and again if he doesn’t like it. I love your blog ! You are always so interesting to read and always writting interesting posts. Thank you a lot and I will try to do this with my horse ! Amazing words and beautifully said. Thank you! I loved this post, really informative and not too hands on, so everyone, no matter what philosophy can follow them! I love to see those training posts, especially those where you explain simple basic things, as everyone can get sth from them, I also love your post on 5 things to do before a liberty session.. since I’m giving my lease mare loads of attention and praise and treats in the beginning, for the simplest things, she enjoys working with me a lot more!! Thanks for that post! And generally I like a good mix in blog posts, although I sometimes find that the photoshoot posts are a tiny bit redundant, because some pictures are really alike and you have to scroll through the whole post to get to the next one… don’t get me wrong, I love seeing those pictures, but maybe not so many or another way of presenting them on the webside would make it easier to navigate your blog!! And again I learned something new today. You’re blog is so inspiring and everytime I read one I learn something, it’s maybe a little thing but it’s so important!